5 litres of Envirowash. Environmentally friendly TFR. 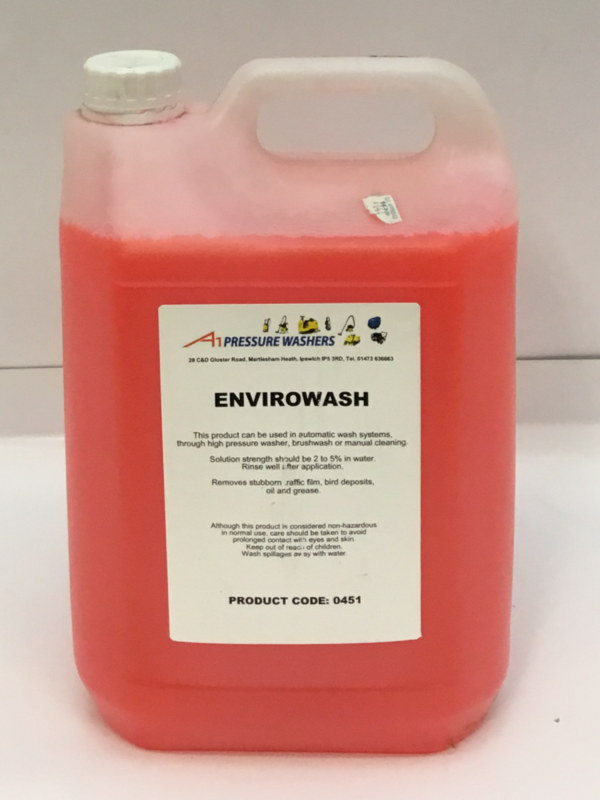 This product can be used in automatic wash systems, through high pressure washer, brush wash or manual cleaning. Solution strength should be 2 – 5% in water. Removes stubborn traffic film, bird deposits, oil and grease.